The Wilson K Factor K Four FX Tennis Racket offers the ultimate balance between power, stability, manoeuvrability and [K]ontrol. This lightweight oversize frame is easy to wield, and is perfectly suited to mid swing players who also like to volley. The [K] represents the four new proprietary Wilson technologies which result in enhanced [K]ontrol. Wilson [K] Factor combines the next generation in Nanotechnology with unique frame innovations resulting in the ultimate line of [K]ontrol rackets to suit all player types. The Wilson K Factor K Four FX Tennis Racket offers some of these new [K] Factor technology concepts. With [K]arophite Black™, the Wilson K Factor K Four FX Tennis Racket has a next generation frame structure that was created through a unique process at the nanoscopic level resulting in more feel and a stronger and more stable racket. By offering a unique weave of fibres within the frame design, it makes for a stiffer frame and reduced torsional twist, resulting in less off centre shots and power loss. The [K]ontour Yoke™ feature of the Wilson K Factor K Four FX Tennis Racket is a new frame engineering technology that enhances stiffness at key stress points on the throat of the racket for improved torsional stability. This again reduces torsional twist and loss of power in the shot making. The [K]Zone feature of the Wilson K Factor K Four FX Tennis Racket is a combination of power holes and power grooves technology that generates [K]ontrolled power by manipulating string movement and repositioning after shot play. In short, the new Wilson rackets provide the stiffest frames available today. This offers the user an unrivalled feeling in every shot, and a connection with the ball that is second to none. 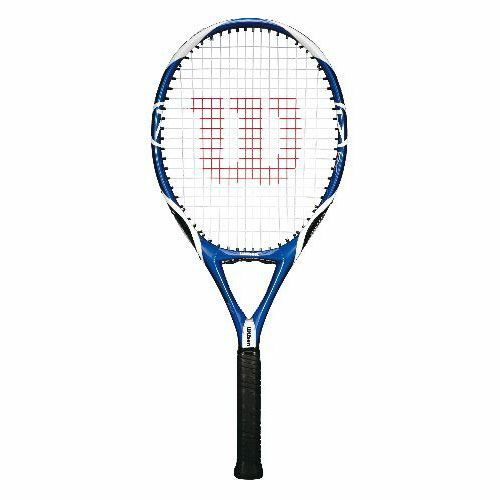 A greater feeling of power coupled with a truer response, more feel, and therefore more precision, combine to give you a racket that will enhance your game dramatically. 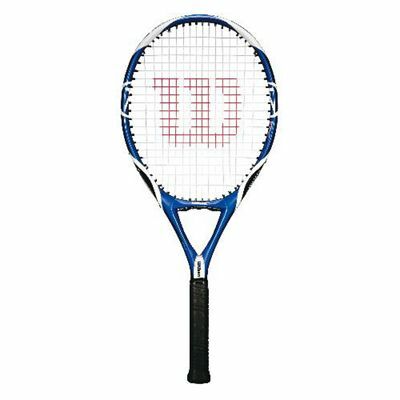 for submitting product review about Wilson K Factor K Four FX Tennis Racket.